Natural Ayurvedic Home Remedies for Tooth Decay – A beautiful smile is a joy forever. But the problem of cavity and decay which is nothing but destruction of the tooth structure often pose hindrances in the way of achieving a beautiful smile. Healthy and strong teeth happen to be an essential part of your oral as well as your overall health. In case of Ayurveda chewing food is given the utmost priority. This is because correctly chewing leads to the optimum digestion of food. According to ayurvedic philosophy, a great oral health including strong teeth and gums are of utmost significance. Teeth are significant not only for savoring the taste of foods, but their proper functioning also makes the function of the intestine in case of food digestion much simpler. Both the outer and inner layer of the teeth can be affected by cavities. That is why the dentin and enamel both are affected by tooth decay. •	Not cleaning the mouth in the proper way after eating. Hence the mouth’s bacteria convert the sugar into acids. •	Greater intake of starchy and sugary and processed foods in the diet. The teeth can get hurt due to the high fructose corn syrup. •	Plaque is formed when the sugar in the debris of food combines with the acid. Plaques can also lead to tooth decay and cavities. Here are a few natural ayurvedic home remedies that can help you to control cavities and tooth decay. Oil pulling happens to be a practice where you have to swish oil in the mouth. For reducing bleeding gums, cavity, dryness of throat, bad breath, whitening the teeth and cracked lips as well as for straightening the gums, teeth and jaws, oil pulling has been extensively used as an Indian folk remedy. Sesame seed, sunflower and coconut happen to be very popular home remedies. Nevertheless, sesame oil happens to be the best of all for oral health. For keeping the oral health intact and tooth decay at bay, chewing on the fresh stem of neem happens to be the most popular way. The stem should be soft, small and devoid of leaves. The teeth can be protected from plaque by chewing these herbal stems that have anti-bacterial effect. 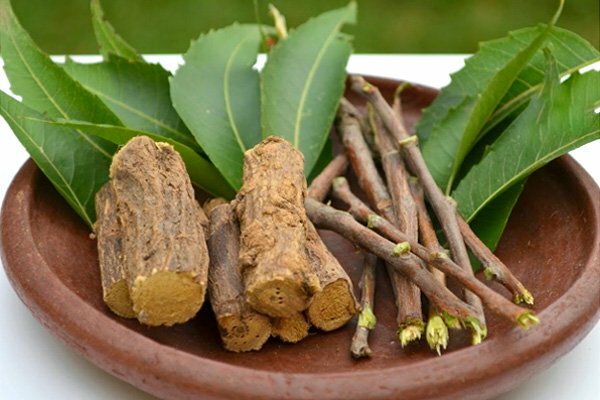 The twik from Salvadora Persica (peelu/arak tree) is also preferred in many places of the world because of the high properties of anti-microbial. Licorice, neem or miswak can double for a toothbrush for teeth cleaning. One end of the herbal stem can be chewed for the brush. If you are not comfortable with the stick, then use a brush with the gentle bristles. You should remember that your teeth are alive and so you should not hurt them by gentle brushing. One of the symptoms of tooth decay happens to be gum bleeding. So, try this home remedy if your gums are bleeding. You should mix two tea spoons of pure mustard seed oil with 1/4the teaspoon of sea salt or rock salt and massage the gums in a gentle manner. This formula can challenge swollen gums, pyorrhea, bleeding gums and toothache as the gums and teeth get strengthened and the germs get killed because of that and you will get strong and shiny teeth. Turmeric with mustard oil is highly advantageous for dental caries, toothache, bleeding gums and pain in the teeth while having hot or chilled foods. You can add turmeric with mustard oils and salt as well as turmeric powder instead of salt for beneficial effects. 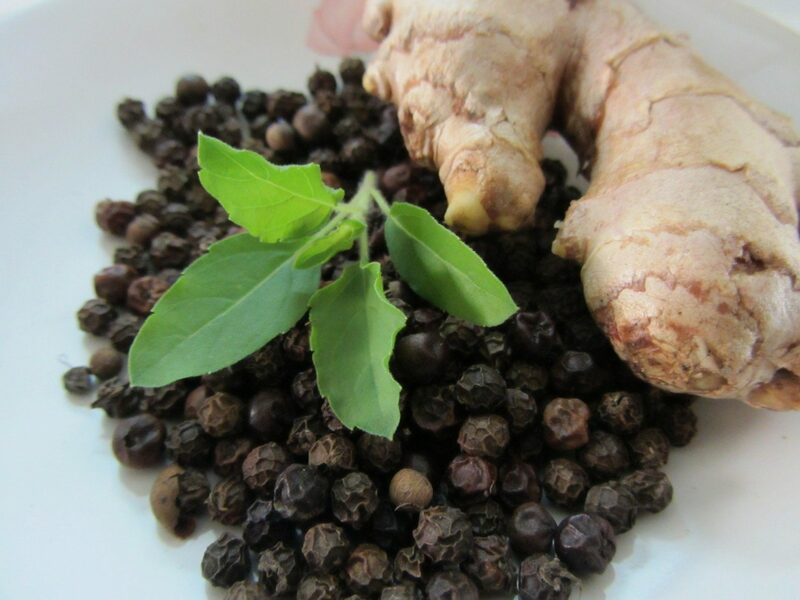 In treating the oral or dental conditions clove happens to be one of the major ingredients. It is used in case of mouthwashes, toothpastes and oral care medications. It is actually an evergreen tree’s flower bud that comes with numerous benefits. Clove is rich in minerals like hydrochloric acid, calcium, phosphorus, iron, potassium, sodium, a powerful compound called “eugenol” and vitamins C and A. The cavities, bad breath, bleeding gums, sore gum, toothache and mouth ulcers can be treated with the anti-septic and anti-microbial properties of clove oil. Dilute the clove oil with the sesame seed oil and after pouring a couple of drops in a cotton ball put it at the end of the tooth that comes with cavity. You should do this every night prior to going to bed. You can also keep a whole clove under the tongue which is extremely beneficial for the oral health. Prior to going to bed you should do this every night.